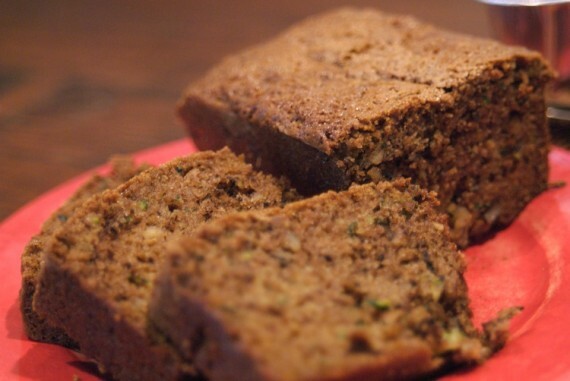 Zucchini Bread: It’s what’s for breakfast! And lunch, and dinner… But that’s because it is just so yummy. 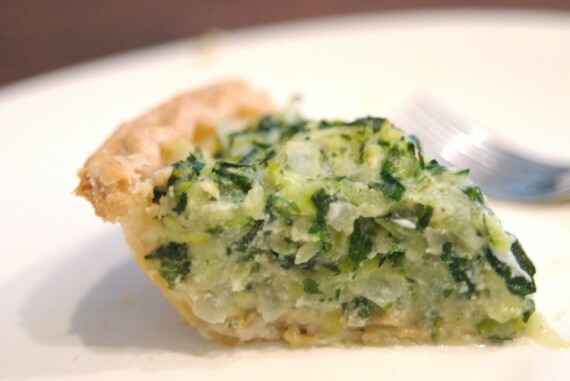 A friend of my husband’s passed this recipe along to me, and she’s even given me a few slices from time to time. Since I had a ton of zucchini to deal with, I thought I would make a couple of batches of this recipe and freeze most of the loaves, since bread freezes nicely. Given the latest crop of zucchini to pop up, I’ve been trying to get creative with how to use all of it up before it goes to waste. 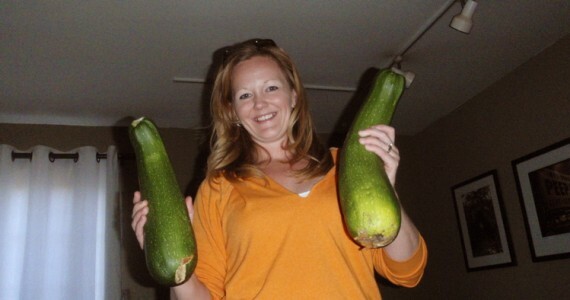 This past weekend was a zucchini-stravaganza for sure! Actually, bringing home the zucchini is more like it. 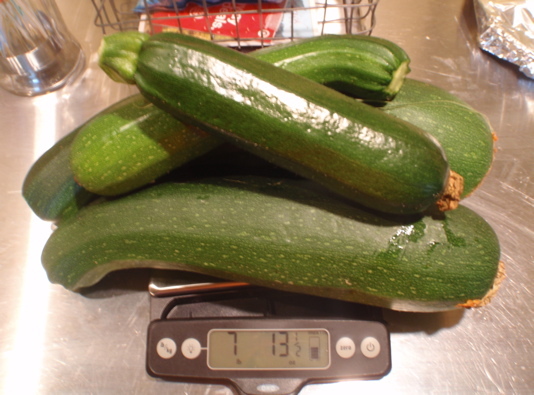 This evening I went out, knowing that some of the zucchini was ready to be picked, not realizing I had monster zucchini in the garden. These two bad boys were waiting for me, along with a few non-freakoid zucchinis of normal size. Nearly 8 pounds total. I see zucchini bread, zucchini casserole, and zucchini pizza and/or pasta in my future. 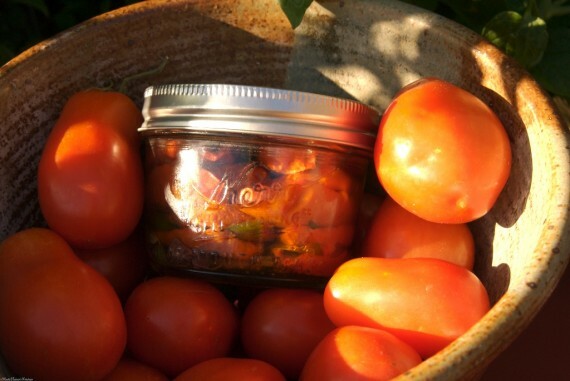 A while back I stumbled upon a picture of The Hungry Texan’s pickled jalapenos on YumSugar. Hers were very festive – a great mix of green and red, perfect for holiday gift giving – and I’ve been thinking about them ever since. 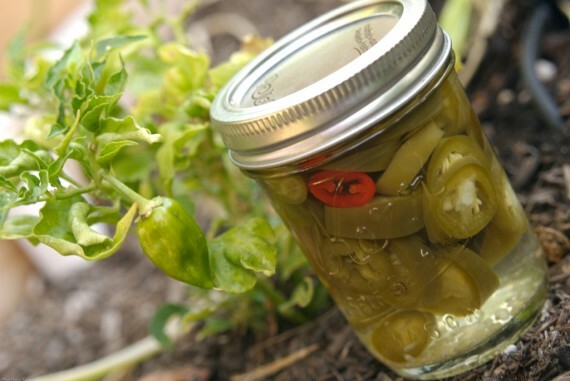 Putting away some jalapeno peppers for football season would be awesome – nachos here I come! So that’s exactly what I did, following her recipe to a tee, scaling down a bit since I didn’t have nearly enough jalapenos. After many battles with my tomato plants, over the past weekend I finally yielded enough tomatoes to make something beyond an individual caprese salad. I decided to flip through one of my favorite cookbooks, the Food of Italy, to find inspiration on how to handle the 3 pounds of roma tomatoes I had on hand.